He’s back, and he’s all fired up! At least his claws are. That not incredibly too long of a wait for the Return of Wolverine is here, but the man himself does not really look to have too much of an impact on the Fantasy Comic League in September as you’d expect. 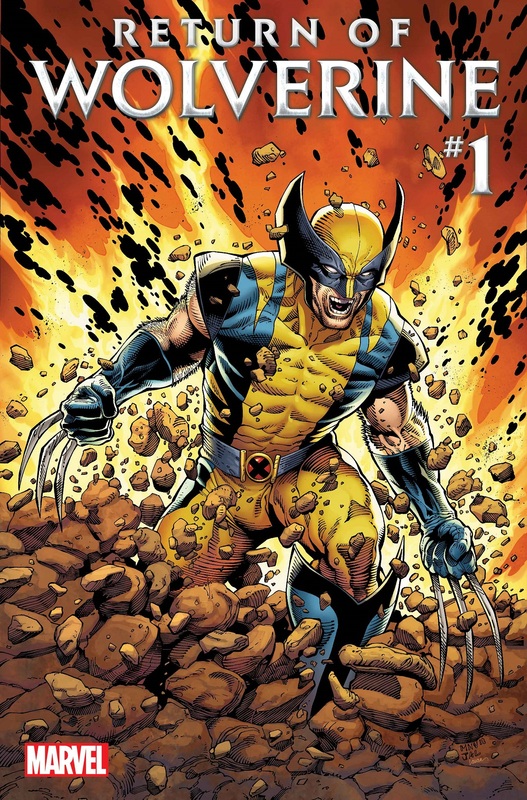 The OG Wolverine is only expected to appear in one book, but like most of Marvel’s mutants, they are hard to pin down. Take X-Men: Gold, for instance. That team continues to be a gamble as their second issue of September only appears to feature Kitty Pryde, but one can never count out the surprise unsolicited cameos of her teammates. Extermination has the same issue. What should be a large showing of X-Men, could turn out to be nothing more than just what you see on the cover. The young, time-displaced X-Men were expected to have a big month of August thanks to that event, but they wound up being a bit of a bust. Marvel Girl and young Cyclops may continue to be the only worthwhile bets out of that group. While the X-Men failed to impress, the Avengers more than made up for it. Several members of the new team, such as Captain America, Captain Marvel and Doctor Strange continue to be a solid picks, but the group takes a breather in their first issue of September. Avengers #7 takes a trip to the past to explore their prehistoric predecessors, specifically the mammoth-riding Ghost Rider, but they return by the end of the month to take on another antagonistic ally, Namor. Outside of the Avengers title, Captain America has two team-ups lined up, one with Black Panther, the other with Weapon H; and Iron Man has one planned with Squirrel Girl. That should give Tony Stark a boost since his solo titles for the month of September have been delayed. Deadpool teams-up with Rogue or Gambit while continuing to crash their honeymoon in Mr. & Mrs. X, and then trades in his Assassin title for Secret Agent. The Infinity Wars continue, but what does fate have in store for the new Infinity Watch now that Gamora has defeated them and gathered the stones for herself? Spider-Geddon also continues but no there is no sign of a worthy Spider-character to be drafted. It does, however, feature the comic book debut of the star of PlayStation’s upcoming Spider-Man video game. Asgardians of the Galaxy begins, but none of the characters, including the classic Valkyrie, Angela or Skurge, register as important enough to make the cut in the tier charts. Other books of note for the month of September include annuals for the Amazing Spider-Man, Captain America, Domino, and Silver Surfer. Venom: First Host is the latest weekly event starring the symbiote and his bond with Eddie Brock making the Lethal Protector a worthwhile pick. And starting in this new season, digital exclusives are being counted, so Cloak and Dagger and the string of comics featuring the Defenders are now included for their characters’ appearances. As always, dopplegangers of our main characters are called out for easier identification and to distinguish them from our prime universe heroes. Be wary of the characters found in Amazing Spider-Man: Renew Your Vows, the amalgamated heroes of the Infinity Warps, Marvel Super Hero Adventures: Captain Marvel – First Day of School #1 and Old Man Hawkeye (with the exception of Old Man Logan if he appears), as they are not the same heroes as the ones featured in the below tier charts.